Peter Wiebe Conductor • Meet the next generation of musicians! Each season, sixty dynamic and talented young musicians energetically tackle masterworks of orchestral music under the baton of Peter Wiebe. 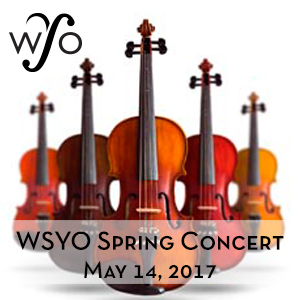 The WSYO present two vibrant concerts this season, both concerts also feature the young strings of the Windsor Symphony Junior Youth Orchestra. Advance tickets are only $15, and provide a great way to support young musicians in your community.